This class is a "must" for beginning quilters as well as people who've taken one (or several) "Beginning Machine Quilting" classes but still don't quite have the confidence or skills to quilt their own quilts. In this class we start with a brief discussion on threads, needles, batting, and quilting feet. Then we will learn to use a walking foot for straight-line foundation quilting and decorative quilting. 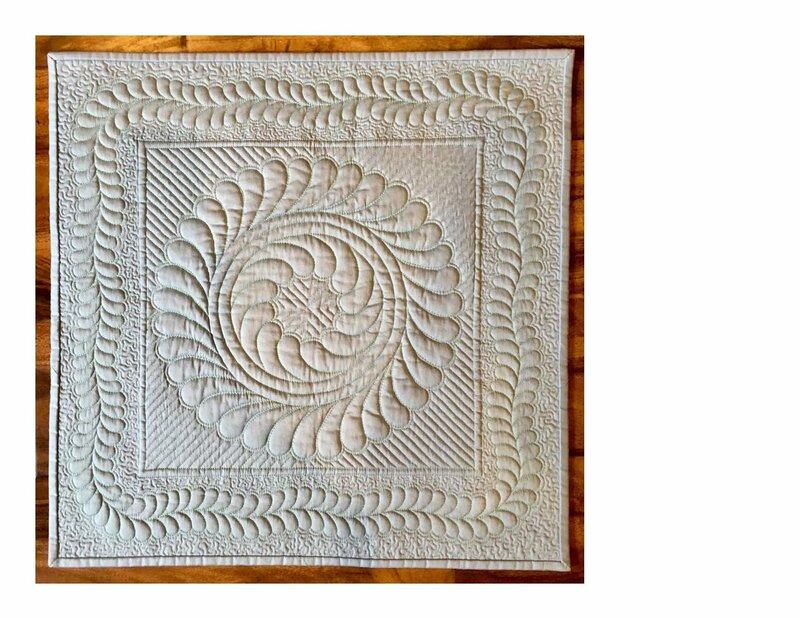 After that, we will move to extensive coverage of free motion quilting of continuous line designs, three types of feathers, stippling, and echo quilting. You will also learn what other quilters want to know, and that is;"How do I handle large quilts on my home sewing machine?" This class will give you the confidence and ability to finally quilt your own quilts on your home sewing machine.